This is the first Blu-ray drive specifically for PC users that doesn't write to recordable BD media and, believe it or not, this is a significant milestone for Blu-ray. For the reasons highlighted above, an affordable Blu-ray option for PC users means we can finally watch some hi-definition movies (with a suitable decoder and HDCP compliant graphics card) on our screens, without having to shell out for a whole system upgrade. The BDC-S02 also writes to all CD and DVD media. 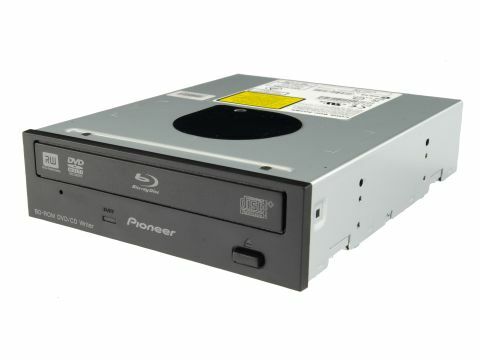 This could make it a one-stop replacement for your existing optical drive. It isn't as fast as the latest DVD writers on the market: 4x for dual layer recording means a significant wait to fill a 9.4GB disc. Normal DVD-R writing tops out at 12x, slower than a standard DVD writer that costs a lot less. At £169 this drive is affordable but hardly a bargain, considering HD-DVD set-top players can be had for a lot less. It's clear that this drive is worth looking at if you're absolutely desperate to watch Blu-ray on your PC, but otherwise it's something of a waste of money.